Ginny Casey & Jessi Reaves, opening reception, 2016. Photo by: Constance Mensh. Since our founding, ICA exhibitions have aimed to bring under-recognized artists to the attention of the broader world. This was true in 1965 when we organized Andy Warhol’s first ever solo museum show, helping propel him to superstardom; when we presented early shows of artists like Laurie Anderson, Richard Artschwager, Vija Celmins, Karen Kilimnik, Charles LeDray, Barry Le Va, Glenn Ligon, Robert Mapplethorpe, Agnes Martin, Damian Ortega, Pepon Osorio, Tavares Strachan, and Cy Twombly; and it remains true today. ICA Director Amy Sadao. Photo: Constance Mensh, 2018. 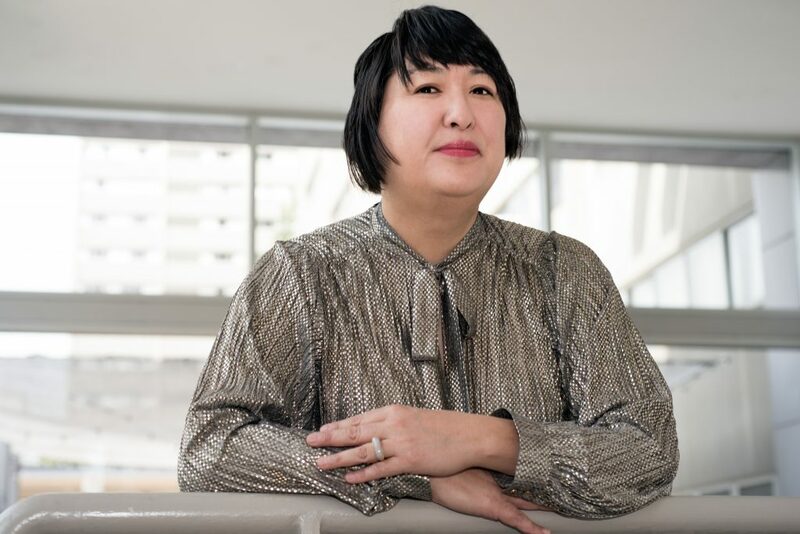 The Institute of Contemporary Art at the University of Pennsylvania is a place to encounter art that speaks to urgent issues facing our community and our country. Our curators seek work that illuminates our contemporary moment and challenges us to think in new ways. In our current charged and polarized political climate, we believe that our role is increasingly critical, as we work to create spaces for the exploration of new ideas, the free exchange of diverse perspectives, and to foster compassion for those who are different from us. “Free For All” is an idea in constant circulation here, and a value that is central to everything we do. It tells you, for one thing, that the museum is admission-free, welcoming everyone to come back again and again. It also describes ICA as a space where ideas are freely expressed and shared—where excitement and challenge animate the galleries. We hope you experience ICA as a space apart from the everyday: a place for contemplation and inquiry. For us, ICA is not just a place to look at objects, but also a place to have an experience that is aesthetic, intellectual, political, and social—a place that engages every part of you. That is the kind of community we are building here. We hope you will join us, and we look forward to welcoming you here. We hope, as well, that you will come to ICA with high expectations not only for our staff and the work we present, but also for yourself. Engage with what is difficult and daring! A work of art has the power to transform people, and through people, the world. We do the work we do every day with this goal: that the art you experience at ICA will change the way you see and think about the world. What’s in a name? This question initiated our investigation into ICA: how it came to be, what it means now, and how we might imagine it in the future. In turn, we wanted to learn what the language in our name—specifically the notion of an ‘institute’—conjures for the public. With our desire to think critically about the trajectory of our own institution, within its specific moment and locale, we also felt the need to situate ourselves by considering how we relate to and differ from other organizational models. 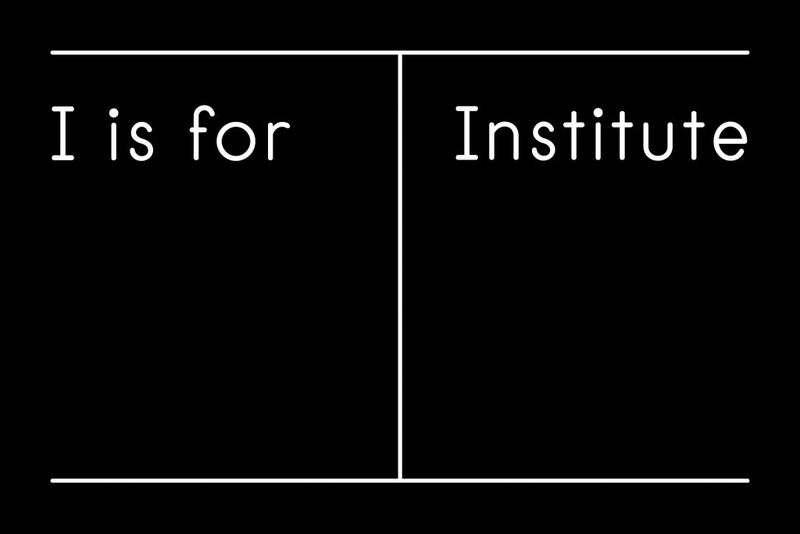 I is for Institute is a collaborative project that documents informal conversations with colleagues working in contemporary arts organizations internationally about their perspectives on their work. You are invited to follow the project as it unfolds over time and participate in an ongoing dialogue about what contemporary arts institutions are today, and hopefully what they can be tomorrow.